Good marks won’t get you good job. You should possess good practical knowledge and some skills. I hope my experiences will help at least one person. My name is Neeraj Mishra, I am a Professional Blogger and Programmer. A Software Engineer is someone who uses his knowledge and applies various computer algorithms to build and maintain softwares that help to make the tasks easier. How it all got started for you? What did you want to be when you were in higher secondary school? It all started when I was in grade 8. My elder brother was doing Software Engineering in IT field. As he needed computer for his studies, my father purchased a new computer for him. I also used to spend lot of time on computer by playing games. My brother sometimes talk about programming languages and how it can be used to write programs that can instruct computer to do some work. I was so fascinated by this and got curious to learn it. Finally, in my 11th standard I got C++ as my main subject and after that interest kept on growing. I was one of the top students in programming subjects during my school and college days. What is the story behind website The Crazy Programmer? Back in 2011 when I was studying in grade 11, one of my close friends told me about blogging and how one can earn from it. I became so excited about it and want to start a blog to earn money. Obviously, money is something that makes everyone curious, specially during young age. I learned few things from him and started my first blog on computer tips and tricks. But initially, I used to do copy paste from other sites and blogs. I used to think that why I am not getting traffic. I failed so badly. Then I started doing research and got to know that, one should start a blog on a topic in which he/she is passionate. Unique and high quality content is required to be successful in blogging. As I was good in programming and passionate about it, I started The Crazy Programmer in 2012. With time, this blog got huge popularity. It is one of the most popular programming blogs among beginners. Recently my blog got featured on Forbes.com and Feedspot.com among the top programming blogs. What do you do and how you do it? I reach around 10 AM at my office. Write my top 2-3 goals that I want to achieve at the end of this year. Trust me this little thing helps a lot in achieving your goals. By writing your goals daily and thinking about it, you are actually instructing your subconscious mind. And the subconscious mind is so powerful, that whatever it believes it can achieve. After that I check my emails, assign work to writers and get feedback of previous work. Then I write some programming tutorials if required and then publish the pending articles on my various blogs. In the evening for 1-2 hours I do sharing of images or articles on social media pages of my blogs. I also reply to all the queries that I get from other programmers. I used to get lot of queries daily on my social profiles and I really love to help them. After all this, I play football and do some exercise. Before going to sleep, I read one self-help or motivational book for 1 hour. Reading books is the best way to improve yourself. Most of the successful people have good reading habit. During my college days, I did not focus much on studies. Instead, I used to focus on learning new technologies and improve my programming skills by practising. I also used to spend lot of time on improving my blog and helping more and more programmers with whatever knowledge I had. What do you love about your area of work? As I am my own boss, I get freedom to work anywhere and anytime. All I need is a PC or laptop and internet connection. Sometimes I work 12 hours, while sometimes even 1 hour is enough. I get lot of time to spend with my friends and family and can do the things that I love. What are the challenges you face in your daily life? One big challenge is money. As blogging is a kind of business, sometimes you earn really good and sometimes your earning goes down. But I think its pretty natural and part of business. Due to pressure, I appeared for few placements. Got selected for Android Developer profile. Later rejected the offer and convinced my family that blogging and internet marketing has lot of potential and I can earn really huge in it. After completing my B.Tech., I chose blogging as my full time career and I will do the same in future. I spend my free time by reading books and watching videos that help me to improve my knowledge. I also like to spend time with my friends and family. What are the skills and education required to be a Software Engineer? One of the most critical factors is to have good practical knowledge. It’s necessary to have good knowledge of at least one popular programming technology. One must take up at least 2-3 projects which will help to improve programming skills as well as, it will be a great plus point in job interviews. There is one big myth among people that, one should be really good in maths to learn programming. Even someone from non math background can choose software engineering path, because this requires only basic knowledge in maths. How do I know if a career in Software Engineering is for me? If someone is passionate about computers and want to build things that can be used by thousands of people, then he/she can step into this career. One should have attitude of learning new programming technologies because technology changes rapidly and you should be ready to change with the market trend. Any recommended resources for aspiring Software Engineers? Youtube is another good resource for learning quickly. As I had C++ in my school time and familiar with basic programming concepts, it became so easy for me in engineering. I would recommend to learn at least one programming technology before entering into software engineering. 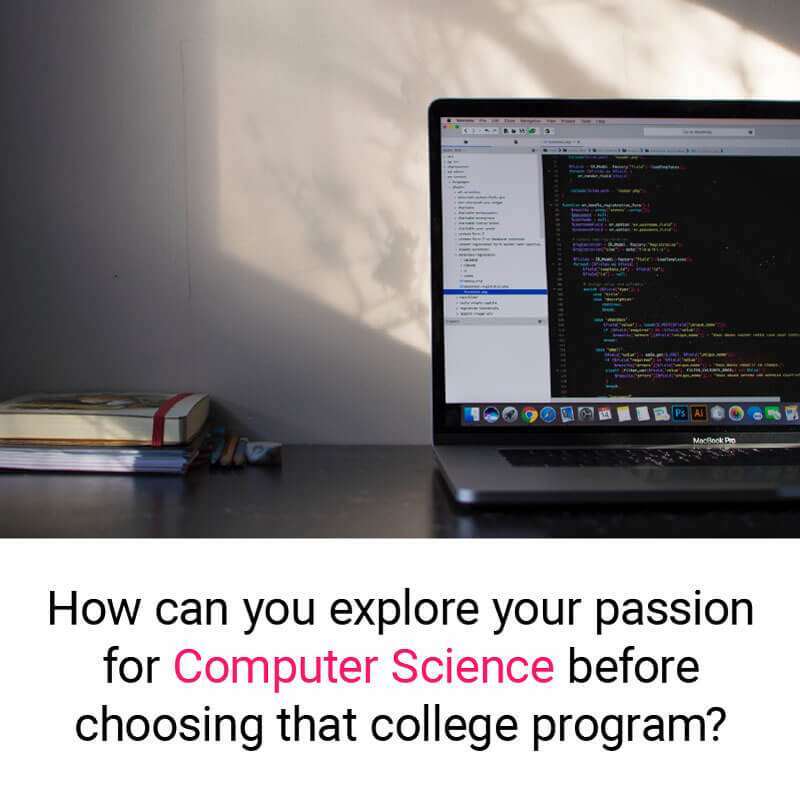 By doing this you will be able to know whether you have interest in programming or not and then choose your area of interest accordingly. It is better to know what you are getting into in advance. Thanks for reading!  If you enjoyed this article, leaving a comment below would mean a lot to me and it helps other people see the story.